In India, if something good happens in your household, there is a popular saying 'muh meetha karo' - literally translating as 'sweeten your mouth'. I've had a rather good week, and so my post today is for you to 'apna muh meetha kariye'. I was lucky to have two cool things happen to me this week. The first one was this site being nominated for Edmonton's first ever #Yeggies Awards, or The Edmonton New Media Awards in the Food section. I doubt heavily that I'll win, simply because I am up against some fantastic food blogs, but just to have been shortlisted is an honour, and its wonderful to get local recognition as well. The second, super duper exciting thing that happened... is below! Yep! 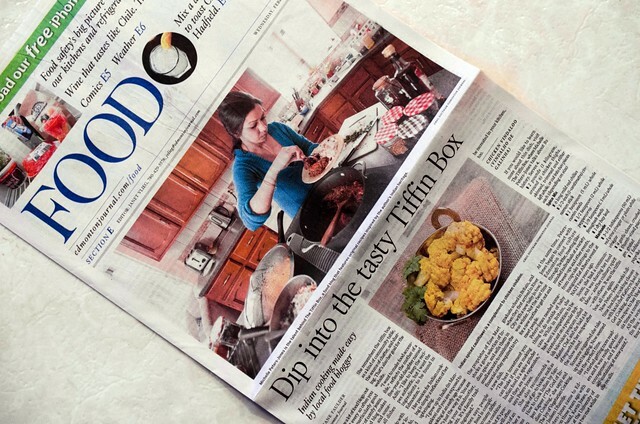 Yours truly was featured over two pages, the front and second page of the Edmonton Journal's Food Section. This is a truly remarkable honour for me and I am still pinching myself, I am so excited! I had a blast with Liane Faulder, the Journal's food columnist who wrote this feature, and the photographer, Greg Southam gave some fantastic photo tips. All in all, I had a really great week, and I am still in a bit of a daze. A nice one though! You can read the whole feature here and also see more pictures on my Facebook page here. So, now you know why I am all ready to sweeten your mouths! 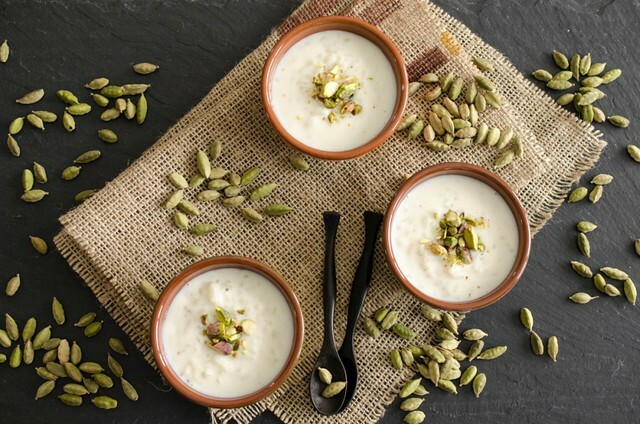 If there is one thing most Indian households would agree with, it is that there are as many recipes for kheer, as there are families in India... and yes, with almost a billion people, there will be a lot of recipes for this classic sweet floating around. Mum, like I've talked in other posts, almost never made desserts at home. And so, for a change, this is not one of her recipes. She did make 'payasam' or a version of kheer which uses jaggery or palm sugar and split peas, but to be honest, it wasn't one of my favourite dishes and it still isn't. I first tasted kheer, weirdly, at an army cantonment in Dalhousie in India. Jay, Mee and I loved travelling around India when we were at university. We managed to get to a fair few places, from the biriyani shacks in Hyderabad, and the confluences of Kanyakumari in the south to the saffron fields in Kashmir and the monasteries in Ladakh and Leh. And thanks to Jay's dad, who was an army officer, we almost always managed to crash at army barracks, instead of having to shell out for hostels. Army chefs are in a league of their own, and it was in one of these canteens that I first tasted what I consider the best kheer I've eaten since. It was the right balance of sweet, fragrant, creamy and with a combination of cardamom, rosewater and saffron that I just couldn't resist. My friends and I probably ate the whole potful, as we kept going back for more and more. 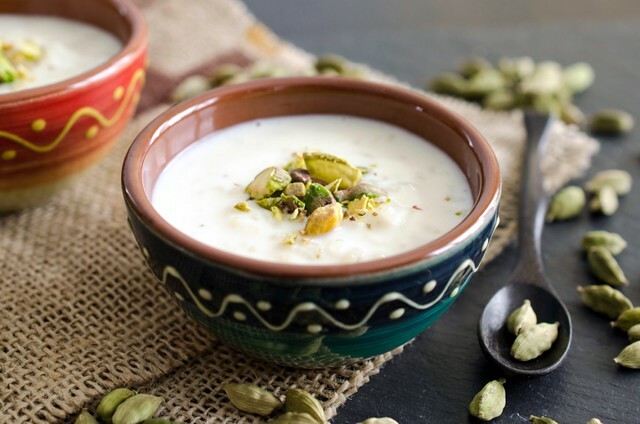 The more I think about that kheer, the more I drool, and wish that I'd asked for the recipe, but I was young and I never thought I'd end up cooking, so I didn't. Sometimes I feel the same way about the food my grandfather used to cook. I wish I hadn't been young and impatient and selfish and had taken the time to sit with him and absorb all his recipes and wisdom... now that he's gone, my regrets for the time I wasted will always stay with me. Coming back to kheer, though, for me, this is my comfort food, starting from the process of making it, to the long, slow cooking period, to the final act of sitting down with a warm bowlful of this creamy concoction. And, of course, for this to happen I needed a perfect recipe first. So after a lot of trialled recipes, I have finally come up with the one that I am most happy with, and while it doesn't actually taste like the one I had in Dalhousie, its the flavour that comes closest to it. I tried out quite a few rice combinations for this kheer. 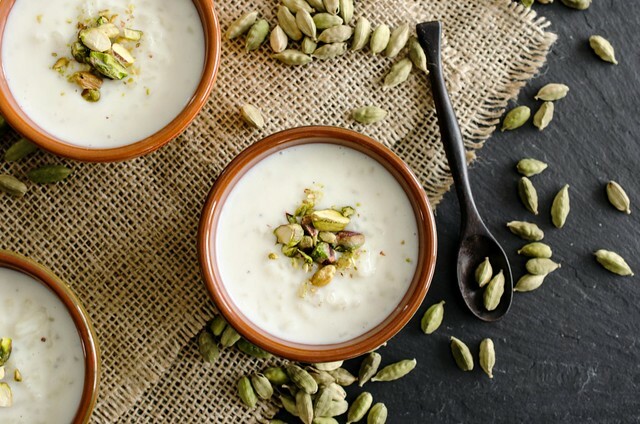 A traditional kheer is made with long grain rice that is slowly simmered with milk, sugar and spices until its reduced down to a thick, creamy consistency. So, for my first trial, I used my usual basmati rice (Tilda). Now basmati is a fantastic rice for the majority of my cooking, that includes a fluffy, separate grain, but when I made the kheer with this rice, I found that the strong, nutty flavour of pure basmati completely overwhelmed any other flavouring in the dessert. So I think, for me, basmati is better in my other rice pudding, Phirni, where it is ground up and not as intense. I also make a strawberry and rosewater vermicelli kheer which is delicious, but this time I wanted a more traditional kheer that didn't actually take the shortcuts that I do in that recipe. My second time, I tried out another Indian rice called 'idli rice' which is a short grain rice that is usually used to make batters for steamed rice cakes or sannas, and savoury crepes called dosas and appams. This time the taste was really excellent, but the rice was not as soft and creamy as I would have liked. So for my third attempt, I actually took a non-traditional route and went with an Italian risotto rice... and what do you know? Success at last! I kept the method of cooking the kheer very traditional, as were the spices and flavourings in it, and the result was as close to perfect as I could get. 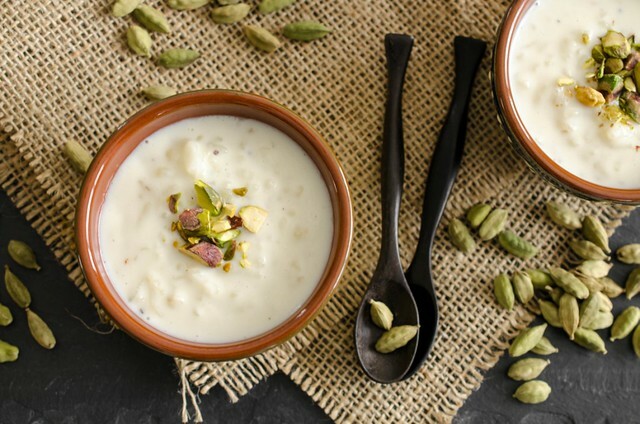 The kheer was soft, creamy and delicately spiced and beautifully fragrant, and the rice was perfectly cooked with a very very slight bite to it that added a lovely textural aspect to the otherwise creamed consistency. This dish can be time consuming to make, but to be honest, I find it very relaxing. Stirring the dish hard at first makes the final result extra creamy, I suppose this is the same principle that makes creamy risotto? After the first stirring, it just simmers away, and the only hard part is hanging around the kitchen and getting up once in a while (oh, the trouble!) to give the kheer a quick stir to make sure its not sticking to the bottom... easy enough! Heat the ghee or oil in a heavy pot, and add the crushed cardamom seeds. Gently stir for about 30 seconds, then add the rice and stir to coat it with the ghee and cardamom. Toast the rice for about 1 minute, then add the whole milk and 1/2 cup sugar. Cook, stirring hard, on a low heat until the sugar dissolves, about 2 - 3 minutes, then taste and add the remaining 1/4 cup sugar if you like your kheer sweeter. Bring the kheer mixture to a boil, then turn down the heat and simmer for about 30 - 45 minutes, stirring ever so often, until the mixture is thick and creamy. Stir in the whipping cream and cook very gently for an additional 10 minutes. Stir in the rosewater. Take off the heat and serve warm or cold, garnished with a few chopped pistachios. Note: As a variation, you can also add saffron to the kheer. Stir in the saffron with the milk, and proceed as directed. You can also use saffron as a garnish. 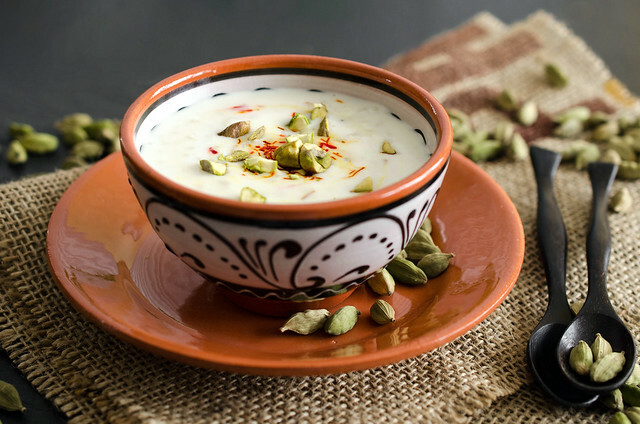 Whisk in a few strands of saffron in a tablespoon of warm milk, and swirl on top of each bowl of kheer. Congratulations!!! I actually didn't get to read the papers this week - or you would have heard from me sooner! I will now dig this one out! Brilliant! It is so so wonderful that you have been recognized for all of the hard work you do and the sincere heart you put into your work, Michele! The Journal page looks brilliant! I cannot wait to read it. Addie and I just made cheese Saturday, and he didn't mention it - so he probably didn't see it yet, either. But the best this about this is your writing here - as your introduction to this recipe is perfect. I am truly disappointed you were not able to present at Eat Alberta this year. Wow! Impressed, my dear! 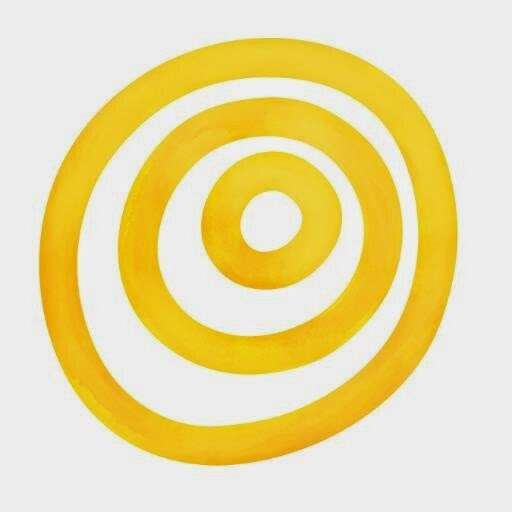 Excellent work and such a nice article! Congratulations on the article - it looks great. The kheer looks wonderful too. I have made kheer in the past and I was told to use basmati but it just didn't work the way I'd hoped it would. I don't think you can wrong with short grain rice for a creamy dessert. I must try your vermicelli pudding too when I can find some time. Congrats on that article!! So exciting! I loooove this dessert but almost never have it. Pinning the recipe to give it a try at home one night. Congrats you’re on the paper. I love all the Indian recipes you have post. I will try to make kheer in the week end. I was so glad to run into your blog in the blogosphere! Your pictures and prose look like you are one after my own heart :) I was planning to do a series on spices on my blog - Aalayam. You might find that your culinary sensibilities are piqued there! Do check it out when you get a chance. With your permission, I would like to use one of your pictures of badi elaichi, linking back to your blog! Do let me know if that is Ok with you. Beautifully written article. Lovely. I love sweets and that' what brought me here. Kheer looks absolutely delicious. i am definitely gonna follow your recipe. Tried it but found it a bit too sweet even with the half cup of sugar, and also a bit too liquid. Used arborio rice, but may try again with a bit more rice and a bit less sugar. Used this recipe because many other recipes call for condensed milk.